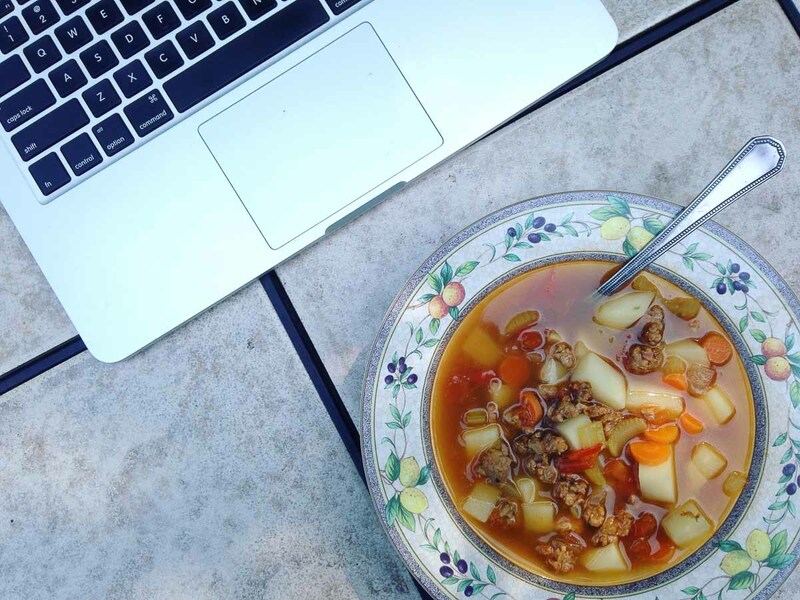 This beef and vegetable soup is sure to become one of your weekday work horses: taking only 30 minutes to make and adaptable to ingredients on hand. 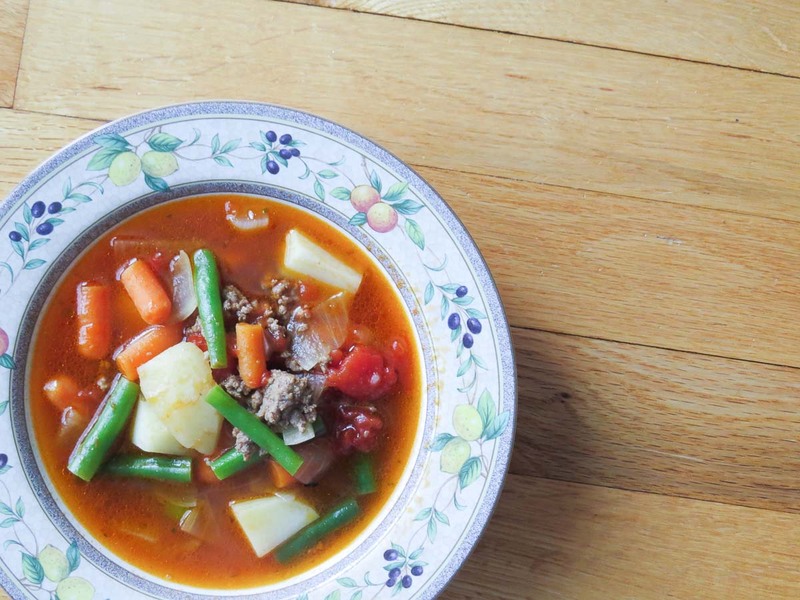 Yes… Yet again a quick and easy soup! 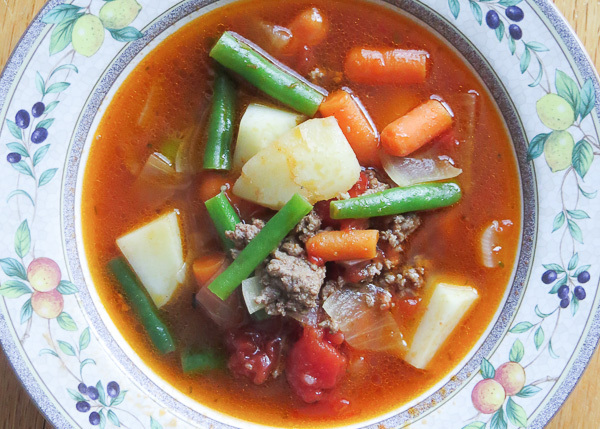 This beef and vegetable soup is sure to become one of your weekday work horses and it’s a great recipe for all of you who have meal prep Sundays making quick, healthy, hearty and easy to grab meals for the week ahead. 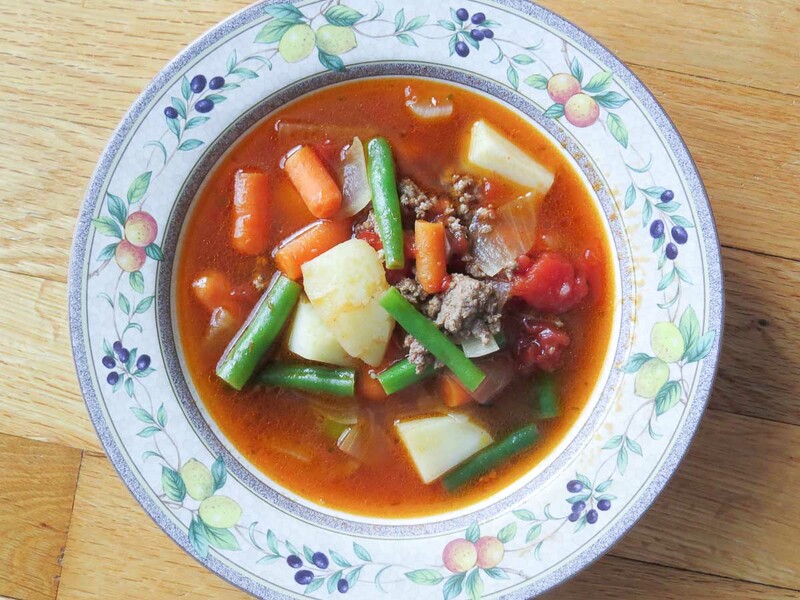 This beef and vegetable soup leaves no excuses to turn to a canned soup. It’s quite simple to make and takes ingredients that I (and hopefully you) always have stocked in my fridge or pantry. Nonetheless, if I don’t have something needed: like fresh green beans, or canned tomatoes, it is easy to substitute: frozen beans (or vegetables) cooked longer, and chopped fresh tomatoes with an additional 1/2 to 1 cup of water to replaced the canned juices. Even in the pictures I didn’t have regular carrots, and therefore I substituted for baby carrots cut in half. 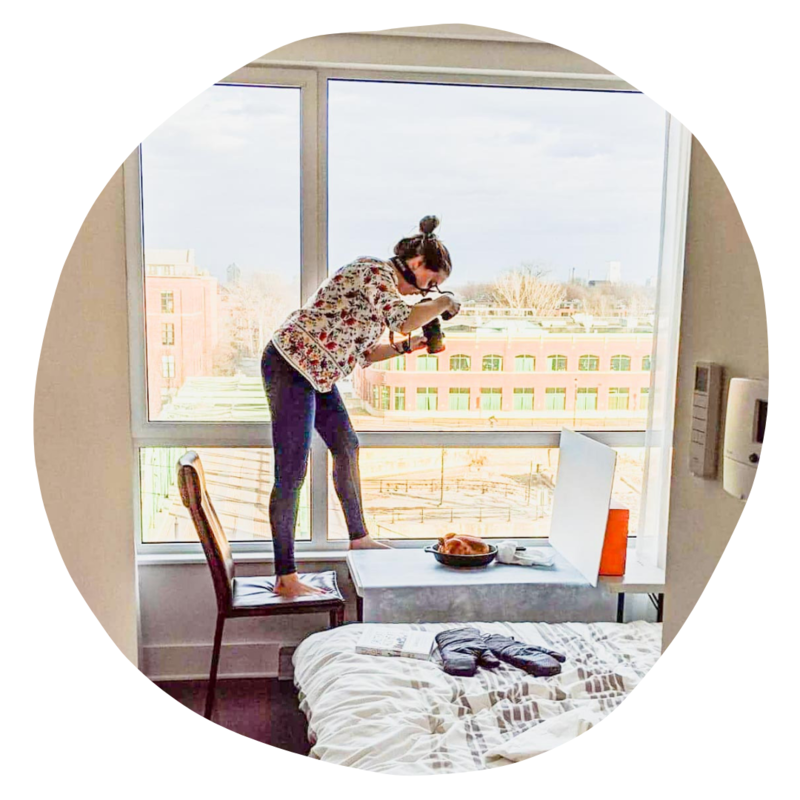 More examples of substitutions for this recipe? 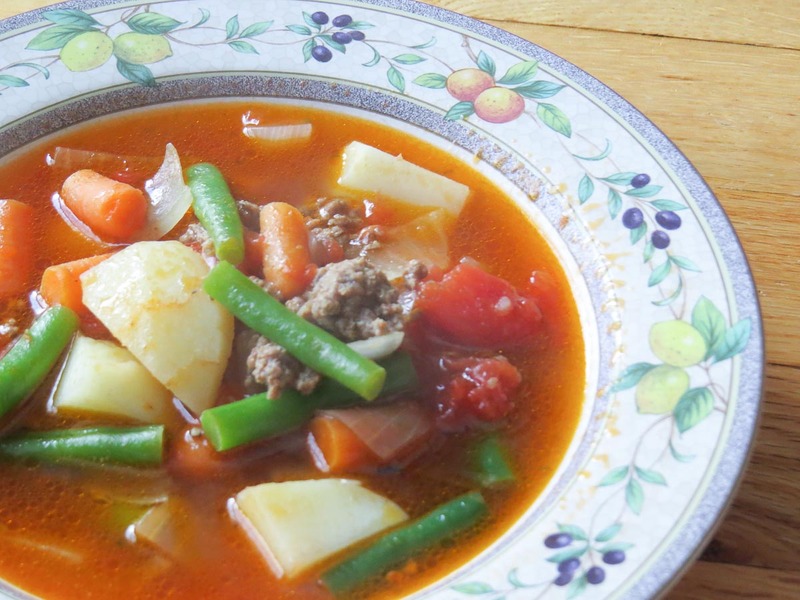 Sausage meat instead of beef, even the addition of celery with the onions and carrots – as pictured below!​ Have fun swapping and adding ingredients to this work horse of a recipe! Sauté beef, onion, carrots and oregano together in a large pot until meet is no longer pink and onions are translucent, about 6 minutes. Add stock, the entire can of tomatoes, including the juices, and potatoes. Bring to a boil, then reduce to a simmer and cook covered until the potatoes are almost tender, about 10 minutes. Add green beans and cook until vegetables are tender, 10 minutes. This soup keeps very well because there are no grains or pasta to absorb the liquid and get mushy – perfect for Sunday meal prep for the week! Feel free to add other vegetables or try different meats! I’ve omitted the green beans opting for celery addition in the first step, and using sausage instead of beef!